About us - Vibrom spol. s r.o. The original company Ing. Ivan Jebavý – Vibrom was established in 1993 and was engaged in constructions of vibration mills that gave the name to the company. In 1995 the company took over production of textile conductors made of ceramic powders using a method of hot casting. Production of these conductors was growing up to the moment when it became the main production programme of the company. 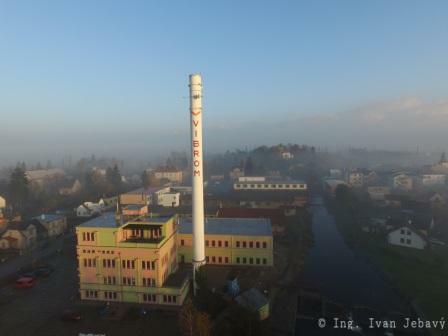 In 2003 the company was transformed to the company Vibrom s.r.o.. All pieces of the equipment were moved from old premises to the existing ones, partly reconstructed Old Boiler House in Orlická street. At this time there was purchased the first injection press Arburg 270 U 250-70, using which there were produced (and still are produced) yarn guids using the technology CIM. Now the number of injection presses that use the technology CIM increased to three plus one that is used for overmoulding of ceramics parts to plastics. In 2012 the company started first testing of parts by the technology MIM. In summer 2014 the company opened ceremonially a new production hall for this technology. The hall is equipped with complete modern technology for MIM, i.e. with two injection units Arburg, debinding and sintering furnace by American company Elnik and a quality control station. Today the company has 20 employees and its main production content includes technologies MIM and CIM as well as continuing production of blast media and in small extent the company builds vibration mills.